In Lucy O'Brien's book, Madonna: Like an Icon, she writes that in the mid-'90s Madonna was so desperate to have a baby that she went after a string of "unlikely men." 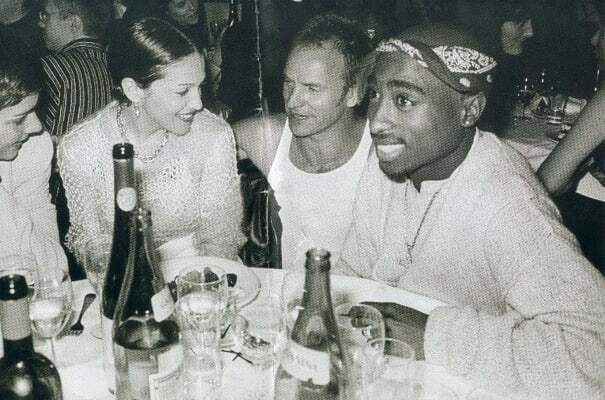 Madge and Pac dated briefly but homegirl got dropped once Makaveli's boys got in his ear about dating a white woman. If we were Pac's boys we would have gotten in his ear about dating a woman who would probably give you crabs—and that's if you're lucky.